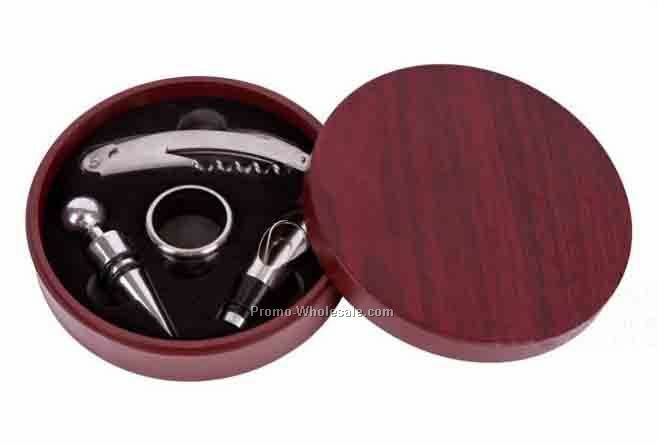 Description: Elegant simulated leather case with carrying handle. Double snap closure and accent stitching. 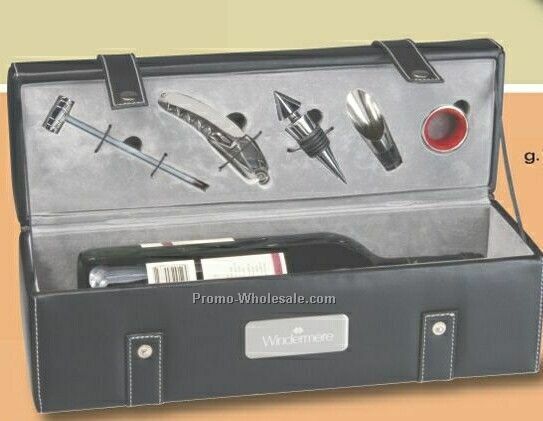 6 piece set includes thermometer,stainless steel opener,stopper,pourer and collar. NOTE: Prices subject to change. Please verify pricing on starline.com.